During his interview, Blomquist also noted that 79 percent of the nation’s loans in foreclosure originated in 2008 or earlier. 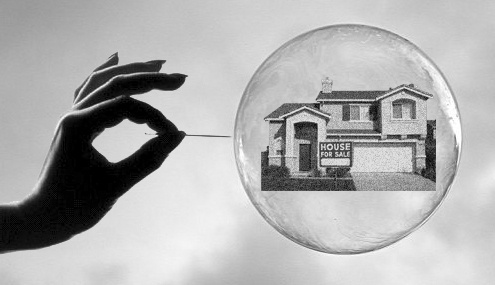 “This is still cleanup from the last housing bubble bursting,” Blomquist said. Nearly all of AHP’s borrowers purchased their homes before 2008 and, given the impacts of the housing crash and unemployment epidemic, many of these borrowers have fought tooth and nail to keep their homes. As lingering foreclosures are pushed through to auctions and the majority of pre-bubble burst mortgagors struggle, AHP aims to take the burden off of homeowners and lenders. Many of AHP’s borrowers have endured overcrowded foreclosure courts and filed bankruptcy, sometimes multiple times, all the while hoping for a solution to keep their home. In essence, these borrowers were buying themselves time. Sometimes a family inheritance makes catching up on payments feasible. Maybe they finally were able to regain steady employment. Or, maybe they received a letter in the mail stating that AHP had purchased their loan and could reduce their principal balance and monthly payments quite significantly. Lenders who find themselves in dragged out foreclosure cases are often times ill-equipped to manage vacant properties, allowing them to fall into disrepair. Once these decrepit structures finally reach auction, their value has plummeted. AHP specializes in distressed mortgages and welcomes the opportunity to help struggling borrowers when many banks and lenders would rather focus their efforts on performing mortgages. We realize that not every distressed mortgage has a happy ending, but even when a borrower cannot afford to stay in their home, we try to help through cash incentives to sign deeds-in-lieu for unwanted homes. It may be impossible to bring nationwide foreclosures to a halt but, at AHP, we believe foreclosure should be avoided whenever possible. In purchasing distressed mortgages that other lenders would rather not deal with, AHP is providing relief for as many struggling families as possible. We welcome banks and lenders who dread the daunting process of a sometimes multiple-year foreclosure process to sell us their non-performing loans for the betterment of homeowners nationwide.